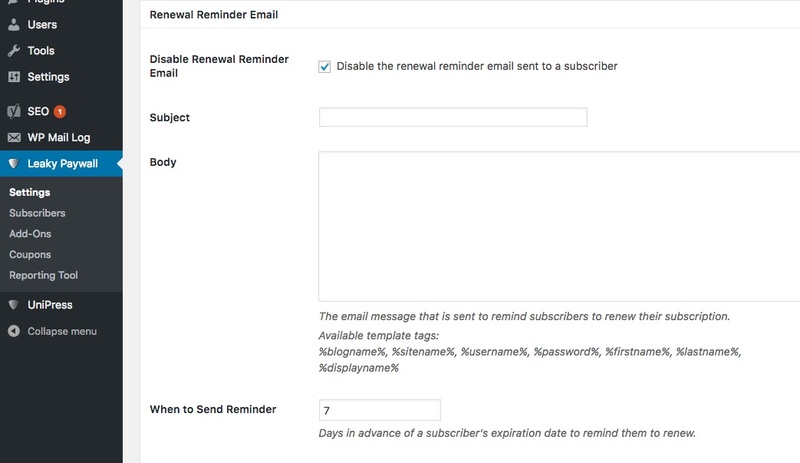 Leaky Paywall can automatically send a reminder email in advance of a subscription expiring. It’s easy to do. Please note: This email is NOT sent to subscribers on a recurring level since they will be charged automatically when their renewal date arrives. Save your settings. That’s it!